The nails are in the Premier League coffin for Fulham, but it’s allowed us to take a step back, accept our fate and start to plan for life in the Championship next year. 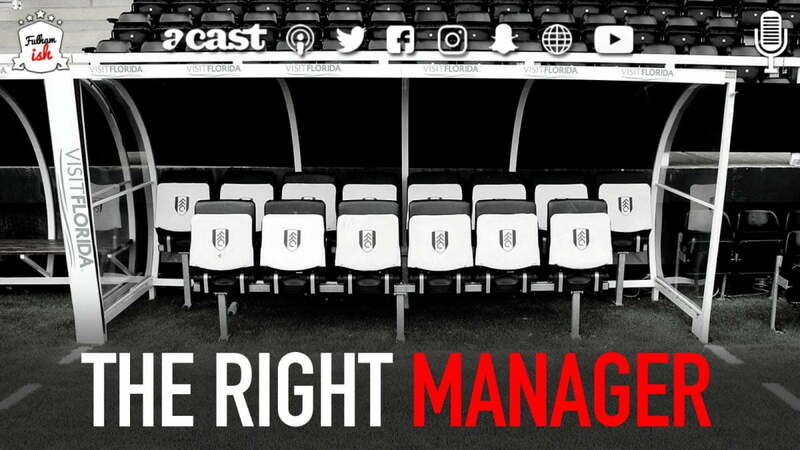 Jack Collins and Ben Jarman met up over the microphones to record a midweek Fulhamish special, talking about that plan to take the Whites back up to the elite tier of English football within the next few years. The plan revolves heavily around one things – who will be in charge of the squad next season, and there are plenty of prime candidates in Europe currently out of a job. With Scott Parker yet to show any sort of reasoning as to why the job should be his own next season, we take a scour through the managerial vacancies list – not through the usual suspects on the English merry-go-round, but a deep dive into Spain, Portugal, Italy and Germany, as well as a few candidates closer to home – to try to sound out the next man who could fill the Fulham hot seat, taking on a rather wide berth of Continental football as we go. There’s a few mooted signings, some questions about where the side needs most strengthening and a bit of an audit on the academy, a few bits and bobs on contracts, a little bit of grieving and some well-deserved defending of our ownership given the recent press – but mostly, it’s a chat that cheered us both up and we hope it will cheer you up too. It will get better. You Whites.